When the genre “Adventure Game” comes up in conversation, we usually hear about Sam and Max, Monkey Island, or Grim Fandango; games which, if you’ll notice, are fairly old. We don’t often here about adventure games these days. But they’re still around and often help their studio make an impact. With that in mind, we have Primordia by WadJet Games. 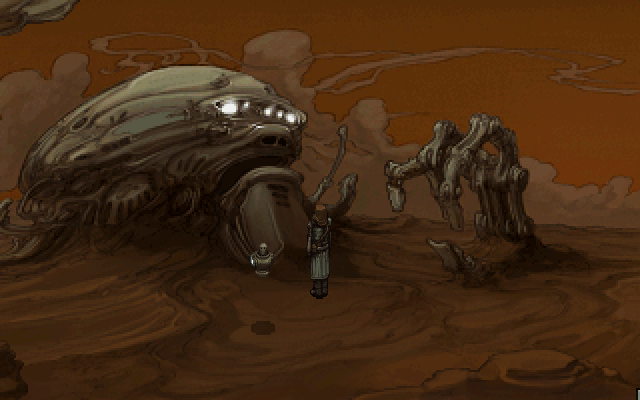 Primordia is the story of Horatio Nullbuilt, Version 5, and his partner, Crispin Horatiobuilt, two robots living in the sand dunes of a post-apocalyptic earth. After their power core is taken from their home, they travel to Metropol city to get it back. This puts them in conflict with the head of the city, MetroMind. If there is one thing going for Primordia, it’s its style. The game has a unique art and world set-up that is deep and engaging. It really feels like the remains of a planet. The art does a great job of making things look foreign and decayed. The place feels like the perfect wasteland. Woven into it is a great story. Following Horatio and Crispin is interesting, with a lot to be discovered about the characters and locations. They meet a cast of characters that are each unique and memorable. The dialogue is fun with an amusing self-awareness that never seems out of place. One of the big draws for Adventure Games is the puzzles. Here is some issue for Primordia. Some of the puzzles are fun and unique, including searching for word clues in old texts and logic problems that really make you put your thinking cap on. On the other hand, it also runs into the old problem of trying to find what little piece goes with what other item to let you go forward. Sometimes this only takes a little creative thinking, other times it’s outright madness (the cloth goes in the oil then up the giant robot nose? Really?). Still, it’s never cripplingly difficult, and getting some puzzles right offers a nice feeling of satisfaction. 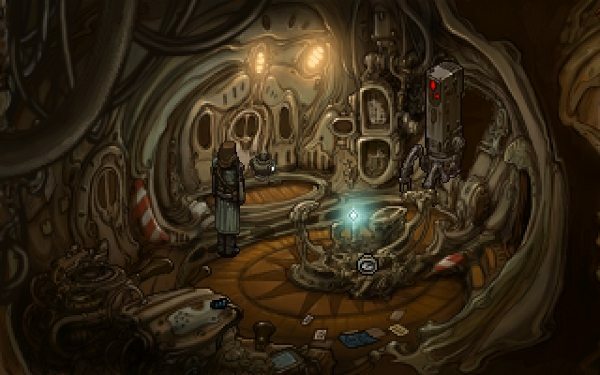 Your enjoyment of Primordia will be directly related to how much you like Adventure Games. If you can take the time to work through every puzzle, there is a lot to enjoy. But if you go with a walk through and just get the story, you’ll get a short but interesting run through the end of the world. And it doesn’t hurt to go back and make some choices you didn’t before, if only to see the other endings. 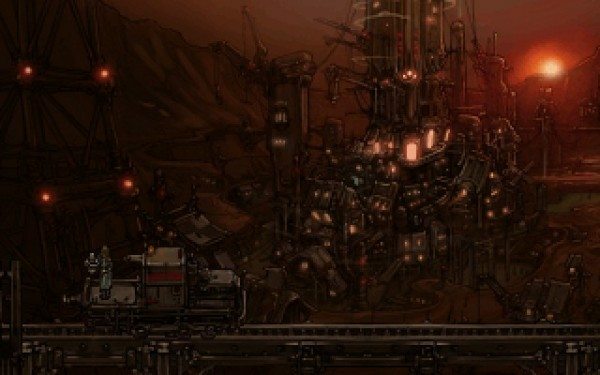 Summary: Primordia is a solid Adventure Game that could afford some logic improvements, but maintains a great atmosphere and driving story. Primordia is available now one their website and on Steam.